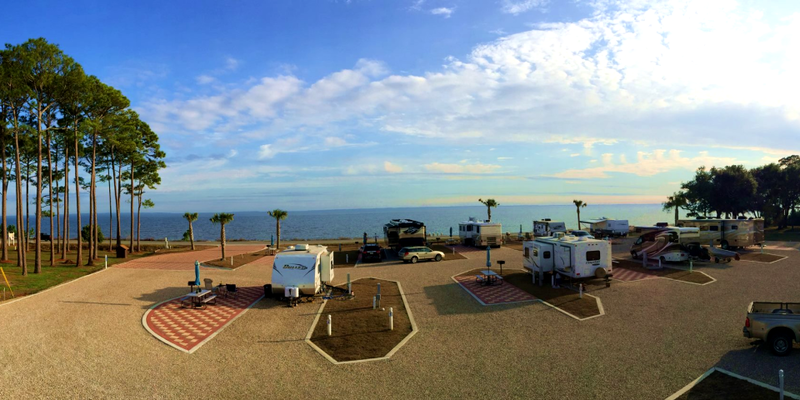 We loved being here at Coastline RV Resort! They have the cleanest bathrooms we have ever seen. The campground is located about 7 miles from St George Island with beautiful beaches. The campsites are big, with plenty of space between sites. It can be a bit noisy if you get one of the front sites as it’s on the main road, across from the sea. We chose site number 13,and the traffic didn’t bother us at all.